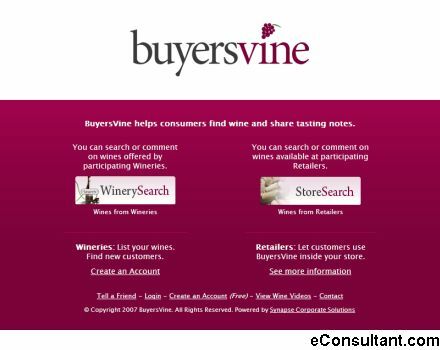 Description : BuyersVine connects wine consumers directly with wineries. BuyersVine mission is simple: enable a lower price to consumers and a higher margin to wineries. Find wines using the Buyersvine tags search, watch the best-of-the-web wine videos and more.